Rate is for 4 people. 1 Queen and 2 single beds. Extra person is $20 per night. Fully equipped kitchen. Aircon/Foxtel on request subject to availability. 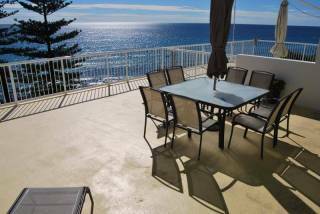 Enjoy million $ views of the estuary and surf beaches all the way up to Surfers Paradise from your own private balcony. 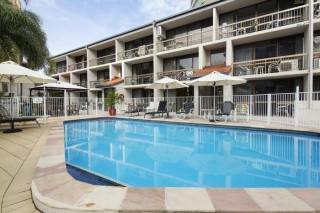 Boasting panoramic views of the Gold Coast, The Hill Apartments offers guests an outdoor swimming pool, hot tub and barbecue facilities. Each apartment has 2 bathrooms and a balcony or courtyard. 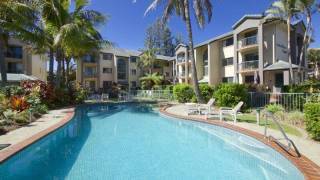 All apartments at The Hill Currumbin Beach feature a living room with TV and DVD player. The fully equipped kitchen has a dishwasher, microwave and laundry facilities. The bathrooms include both a shower and bathtub. Guests have access to a children’s pool and a tour desk. Broadband internet access is available at reception on request. Every apartment has a private undercover car park located next to its entrance. 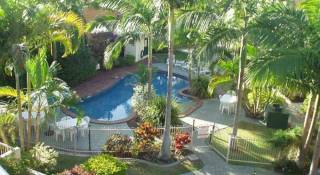 The Hill Apartments Currumbin Beach overlooks the mouth of Currumbin Creek, an ideal spot for fishing and swimming. Currumbin surf beach is a 5-minute walk. 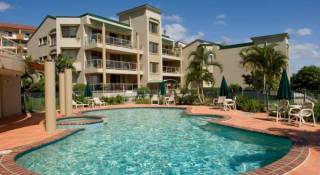 Coolangatta Airport is 10 minutes’ drive away. Currumbin is a great choice for travellers interested in surfing, beach walks and beach. If cancelled or modified up to 30 days before date of arrival, a 100 percent of the first night will be charged. If cancelled or modified later or in case of a No-Show the total amount of the reservation will be charged. A 100% of the of the first night my be charged at anytime after booking is made.